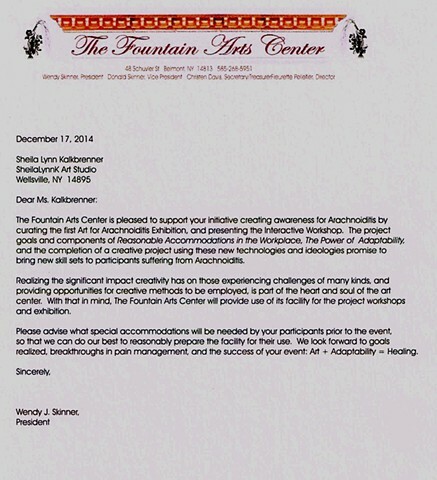 The Art For Arachnoiditis project was endorsed by the Fountain Arts Center for application for Fiscal Sponsorship via the New York Foundation for the Arts. Fiscal Sponsorship was awarded to the project February 2015. Survivors Planning to attend the First Exhibit and/or Workshop (limited space available), please contact the studio to register and let us know any necessary accommodations you may require.